Alaska’s Prince of Wales Island is home to the Alexander Archipelago wolf, an extremely rare subspecies of gray wolf facing a plethora of threats. Environmental groups first petitioned to protect the animal under the Endangered Species Act nearly three years ago. The Fish and Wildlife Service finally announced this week that it will consider a listing – even as the state scrambles to come up with its own plan and head off federal protection. 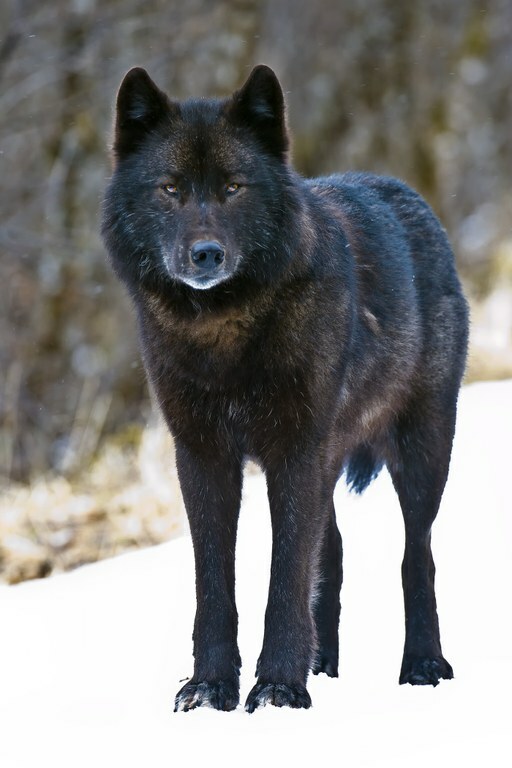 The rare Alexander Archipelago wolf is threatened by logging and hunting on Prince of Wales Island. Photo courtesy of Robin Silver. As few as 100 of the predators roam Prince of Wales, down from a population of about 350 in the 1990s. The third-largest island in the U.S., Prince of Wales is part of the archipelago of forested islands clustered along Southeast Alaska’s narrow mainland. Towering western hemlock, Sitka spruce, western cedar and Alaska cedar up to 800 years old dominate the island’s temperate rainforests, where the wolves make their dens and forage for food. But after more than 60 years of intensive logging, young, dense replacement forests that lack old-growth biodiversity cover as much as half of its land area, threatening the wolf as well as its key food source: Sitka black-tailed deer, who need the food and shelter of the old growth forest to survive the harsh winter. More than 3,000 miles of logging roads crisscross the island, disrupting the natural habitat and giving access to legal and illegal hunters and trappers alike. With deer numbers down, hunters have been killing more wolves to try to restore the deer population; biologists estimate that as many as half of recent wolf deaths have been illegal catches. Now scientists say the whole predator-prey system is on the brink of collapse. With the Coast Range Mountains and its glaciers to the east, the Fairweather Range to the north and the ocean to the west and south, the Alexander Archipelago wolves have been isolated since the last Ice Age, cut off from their larger, lighter-colored and lighter-coated North American cousins. Only around 1,000 may now exist across the entire archipelago, and their situation is especially dire on Prince of Wales Island, considered a “significant portion” of the wolf’s range, which under the ESA could justify a listing. But the Fish & Wildlife Service’s recent response to the 2011 petition to consider the Alexander Archipelago wolf for ESA protection, while acknowledging that enough evidence exists to warrant a possible listing, still constitutes simply a strong “maybe.” Wolf advocates are hopeful that a thorough review – the final step in the ESA process – will yield a definitive yes. Advocates hope not only to protect the rare wolf, but also to stop old-growth logging on Prince of Wales Island altogether. The island and the wolf’s range lie within Alaska’s Tongass National Forest – the country’s largest national forest at 17 million acres and part of the largest remaining expanse of temperate rainforest in the world. Old growth forests have been logged on Prince of Wales Island since the 1950s, and they’ll take hundreds of years to recover. At its peak in the 1980s, logging removed up to 1 billion board feet of old growth trees per year from the island. Conservationists fear that another major logging operation will be too much for the island’s wolves, deer and forests to ever recover from. “Once (the forest) is lost, it’s lost,” said Larry Edwards, a biologist who is also the Alaska Forest Campaigner for Greenpeace. Greenpeace was the lead petitioner for listing the wolf. For the moment, pressure from scientists and advocacy groups has helped put the major logging threat on hold: The Big Thorne timber sale. At 6,000 acres and 120 million board feet, it would be the largest Prince of Wales Island has seen in 20 years. The strongest evidence against the sale came from David Person, a wildlife scientist and former wolf expert for Alaska’s department of Fish and Game. Person, who has studied the Alexander Archipelago wolf for 22 years, said in a statement to the U.S. Forest Service that Big Thorne “represents the final straw that will break the back of a sustainable wolf-deer predator-prey ecological community on Prince of Wales Island.” The logging project is a direct threat to Sitka black-tail deer because it will destroy vital winter habitat, and without enough deer to prey on, the scant remaining wolves will not survive. Nonetheless, advocacy groups still worry that without an ESA listing, the agency may still approve the timber sale. “I fear that the Big Thorne task force will sort of brush over the real impacts to wolves,” said Rebecca Noblin, Alaska director for the Center for Biological Diversity, a co-petitioner with Greenpeace for the listing. While time may be short for Alexander Archipelago wolves, the task force could reach a decision at any moment and the already woefully late ESA decision may still take years. That’s why on Wednesday, April 2, the two advocacy groups and another plaintiff filed an intent to sue the Fish and Wildlife Service unless the wolves’ ESA process is expedited. Instead, Brockmann said, it would be best for state agencies to use this opportunity to create a viable plan for wolf conservation —without the involvement of the feds and the imposed restrictions on land-use and hunting that would bring. The fate of the island’s old growth forest, the Alexander Archipelago wolf and the Sitka black-tailed deer are inextricably intertwined. And without a federal ESA listing or a truly viable state-based conservation plan, they may all disappear together.